6' Height Adjustable Resin Multi Purpose Table. Durable Construction. Height Adjustable. Light weight sleek design. Powder coated tubular steel frame. Ideal for indoor and outdoor use. Easy Storage. 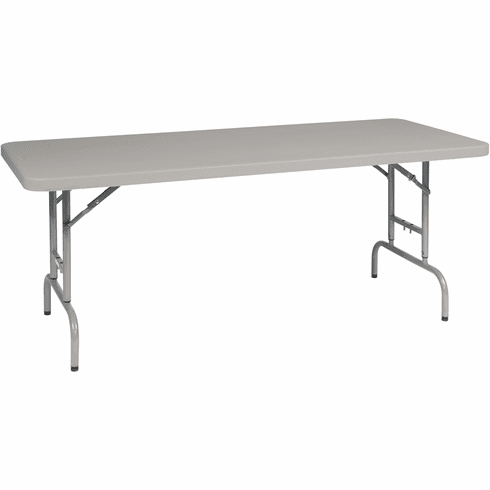 Measurement between legs: 59.625 Adjustable Table Top Height: Fully extended : 37.125" 2nd position : 35.5" 3rd position : 33.5" Lowest : 29.125"